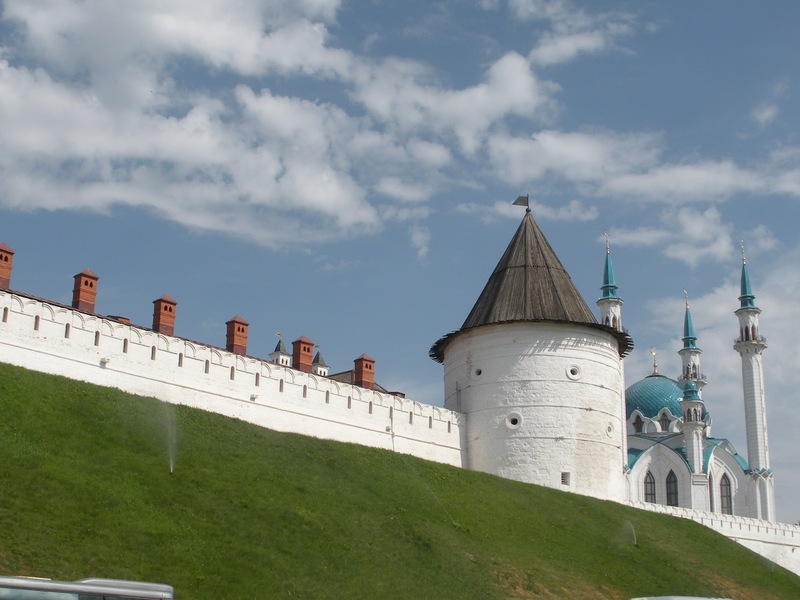 The wall of the Kremlin in Kazan’. Moscow, like many cities with medieval roots, is circular at heart. Around the core of the city is a linked set of boulevards called the “Garden Ring”, which hosts a number of monuments and small park spaces. When the weather is nice, it’s a very popular place to stroll. 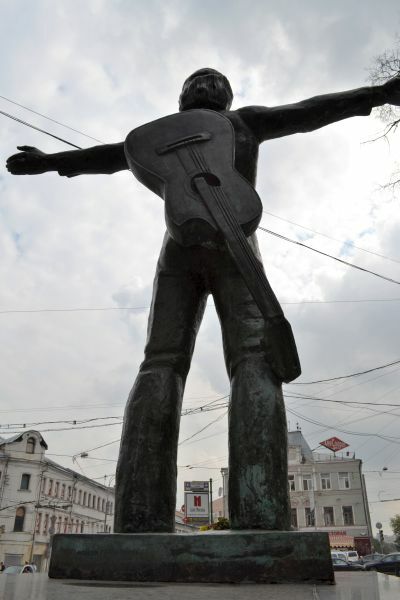 Above, Vladimir Vysotsky, a Soviet-era singer/songwriter slash poet who earned an official living as an actor. Think Bob Dylan, with a dose of censorship and authoritarian repression, ending in a tragic death in the midst of the 1980 Moscow Olympics. Even though no official announcement was made, tens of thousands turned out for his funeral. Just listen.